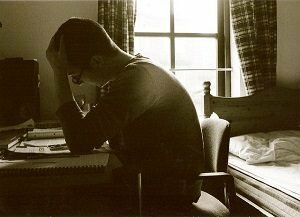 Writing your final paper at the university is the biggest challenge you face while studying.Getting motivated can be incredibly difficult, as the end is in sight and you just need to make one final push to get there, but it seems impossible. Having been working hard for years, you’re burnt out and find it really hard to concentrate. We have all been in such a situation, so we have put together a list of slightly out-of-the-box ways to help you concentrate and get your BSc projects out of the way. Yes, really. In order to study well, your brain needs to be relaxed, and watching films can be a great way of separating your mind from obsessing over your work. You need to switch off for a while, so that you feel rejuvenated and then able to concentrate better when you get back to your desk. We have spent our entire lives being told off for doodling, but it is actually a great way to let the brain process the information and to develop new ideas. Try having a piece of paper on your desk whilst you work that you can idly draw on, whilst you mull over new ideas. Take it one step further. Taking a break to paint or drawn helps relax your mind and process ideas. Make sure you have a notepad with you to write down any flashes of inspiration that come to you whilst you are letting your creative juices flow. You might feel like exercising is just procrastination, as it is just spending more time away from your desk, but getting your blood flowing helps to stimulate your brain. Lots of people think really well while running. The worst thing you can do is to completely plan your schedule, as if you have endless time to finish your work, with no time constraints, you will never get it done. Give yourself allocated amount of time to finish something and then see friends or exercise for some relief. Ensure that your days have structure. This might distract some people, but listening to your favorite music can fill you with pleasure, and the right songs can really help you concentrate. Try out different genres of music to see what works for you and ups your productivity. We know that sugar is not something we would normally recommend, but desperate time calls for desperate measures. Sugar can keep you sharp, and having something sweet to eat can keep your mind focused on the task. The most important thing to remember when you’ve got a big mountain to climb is that everyone studies in their own way, and what works for you might not work for someone else, and vice versa. Try and pinpoint the things that help you to concentrate, however strange they might be, and don’t listen to people when they tell you they don’t work!